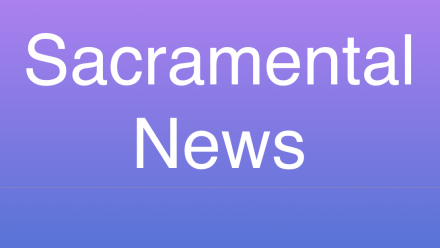 All children preparing to receive the Sacrament of Reconciliation, First Eucharist or Confirmation in 2018 are required to attend one of the Parish Sacramental Commitment Masses. These masses will be celebrated, starting this weekend, over the weekends of the 17 & 18 February and the 24 & 25 February 2018. Saturday evening mass begins at 6.30pm with Sunday masses being held at 7.15am, 9am and 5pm. When you arrive at one of these masses, please make sure you have your name ticked off by one of the teachers or catechists who will be waiting in the foyer. Your Enrolment Form must be brought to one of the Commitment Masses. If you have already placed your completed Enrolment Forms in the tray in the church foyer, you still are expected to attend a Commitment Mass. Attached below is a copy of the ceremony that will take place. All masses will have the ceremony on overheads. Just a reminder to parents of children who are receiving a Sacrament in 2018 that the Sacramental Enrolment Forms are now available from the Church Foyer. The completed forms are to be brought to a Commitment Mass on the weekends of 17th & 18th, and the 24th & 25th February, at the 6.30pm, 7.15am, 9am and 5pm Masses. Attendance at one of these Commitment Masses is part of your families commitment to the Sacramental Program. Further details are on the noticeboard in the Church Foyer. A reminder that you and your child are required to attend one of the two Confirmation Workshops being held in the school hall on Wednesday evening 18th October.